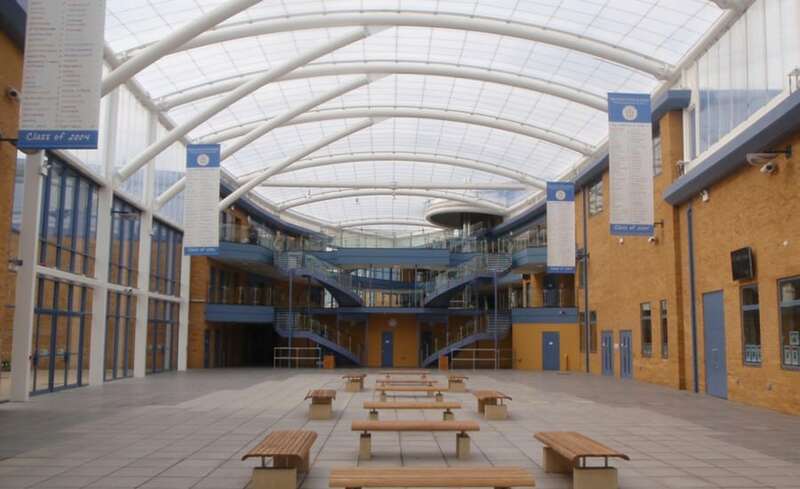 The ETFE roof at Radclyffe School was one of the most challenging projects undertaken by Architen Landrell in recent history. 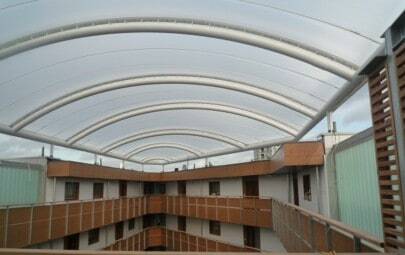 The single skin cable supported ETFE roof was already in design, when the original ETFE contractors went into administration. Main contractors Kier Build were left in the lurch and turned to Architen Landrell to take over the manufacture and installation of the roof. Despite an extremely tight programme, the team took up the challenge with enthusiasm. 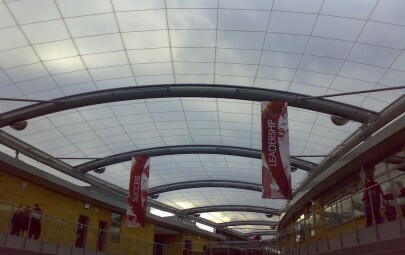 The roof, very similar to that installed at nearby Failsworth School, was created to provide a covered courtyard area where the 5 school buildings all intersect. 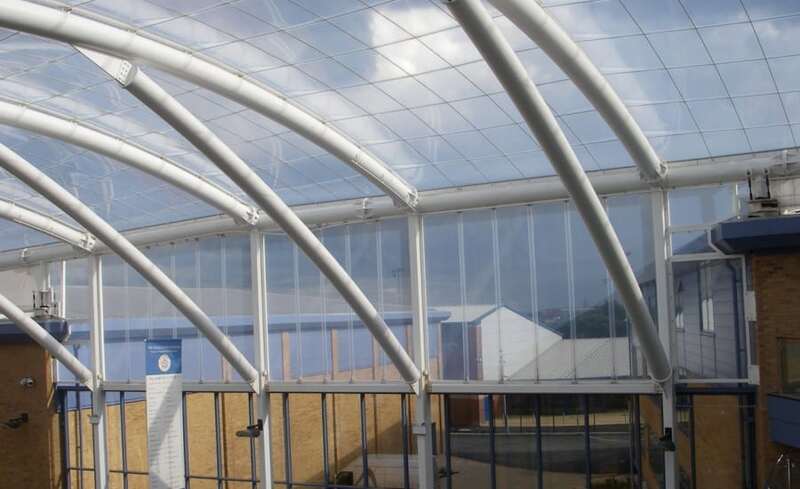 The ETFE canopy provides pupils and teachers with a weather protected space for education and recreation which offers maximum light transmission with minimal structural impact on the building (unlike glass). Entering a contract halfway through the design process and when much of the steelwork had already been manufactured and installed was not an easy task. We had little chance to have any input in the design of the steelwork itself. The shallow curve of the arches meant that major issues regarding ponding were threatening to occur in periods of heavy rain and snow. Architen Landrell worked long and hard with highly qualified engineers to resolve this problem without entirely redesigning the steelwork. It was calculated that by slightly increasing the density of the cable net ponding was minimised and structural integrity was improved without ruining the aesthetic of the roof. The tight schedule and that fact that the contractors were already on site meant that design, manufacture and installation of the ETFE had to be fast tracked. 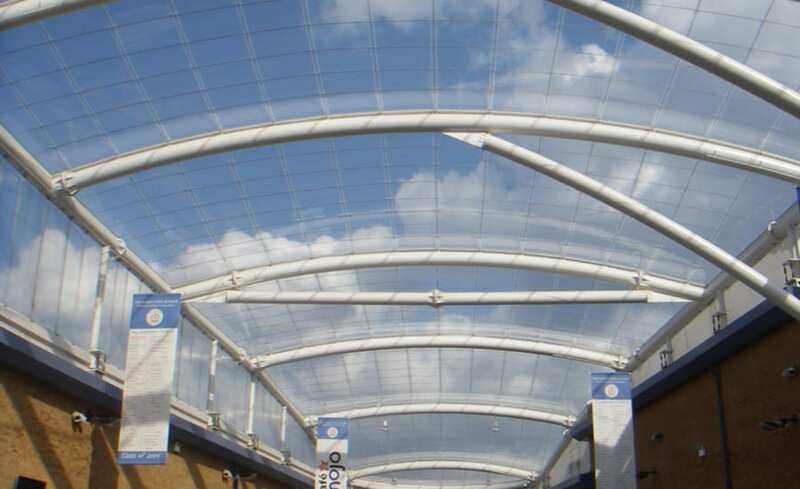 However, keen to provide maximum weather protection for the space, Kier Build also asked Architen Landrell to install ETFE side screens to fill the space between the roof and the building structure below. Although already extremely short on time, the Architen Landrell team drafted in additional staff in order to provide this extra service and to successfully complete all work by the agreed time. 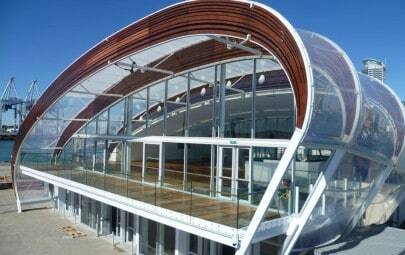 After initially facing problems with the construction of the ETFE roof, Kier Build were extremely happy that Architen Landrell had been able to rise to the challenge and complete the project on time and on budget, along with providing a series of extra services at short notice.